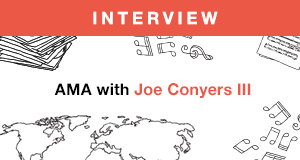 Sit down with our General Manager and Co-Founder, Joe Conyers III, as he speaks with Julia Pernicone, Publishing Operations Manager, to talk about Songtrust and what we've been working on in this exclusive Ask-Me-Anything video. 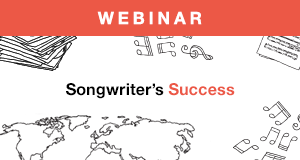 Hear the ins and outs of having a successful songwriting career with our music publishing experts in our first-ever webinar. 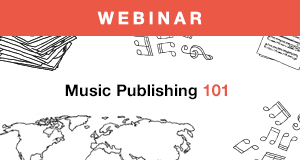 Get a deeper understanding about what music publishing is and why you need as well as information on copyrights, royalties, Youtube and see a demo of the Songtrust platform. 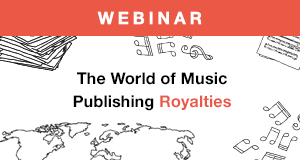 Interested in learning more about music publishing royalties? 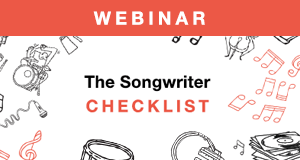 Over the course of five sessions, our publishing specialists go in depth on topics such as streaming and YouTube royalties, and give you a sneak peek at the Songtrust Royalty Dashboard. Are you a new client or thinking of becoming one? Do you know all the resources available to you either pre or post registration? 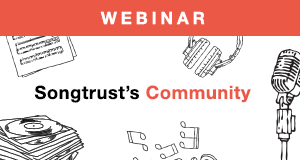 Learn more about the goals behind the Songtrust community from what all we have to offer to our clients to how we can support you as you're building your career. Are you a creator and decided that creating content is your full-time career, but don't know where to start? Join us in learning first-hand the basics of the music business and how to stay organized as you set yourself up for a successful creator career. Do you often work with multiple writers when working on a song? Or do you occasionally collaborate on a new piece of work? 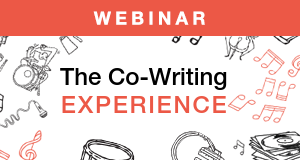 In this webinar, we talk about what a co-writer is and what you need to know when working with multiple writers. If you're interested in collecting royalties for your songs withSongtrust, use the button below.